Customer perceptions are at the heart of health care, and when introducing a new product or service, hospitals must be totally in sync with their patients’ preferences. With several new facilities opening in its service area, Liberty Hospital worked with Red Crow Marketing to ensure their new campaigns rise above the noise of advertising and make a significant impact. 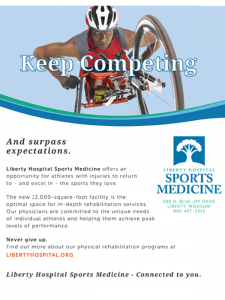 As a public regional hospital committed to improving the health and well-being of its community, Liberty Hospital strives to ensure the highest possible consumer option to its most recent campaigns. 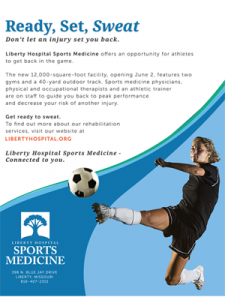 Prior to the launch of the Liberty Hospital Women’s Imaging and Liberty Hospital Sports Medicine campaigns, Liberty Hospital’s commitment to advancing its competitive edge was showcased through a qualitative and quantitative market research perception survey. This led to some exciting insights and a universal high perception of the hospital. 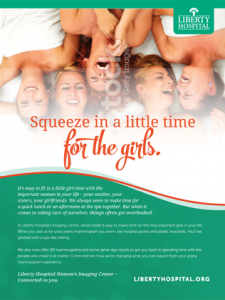 Red Crow Marketing worked with the hospital’s marketing department to develop a strategic campaign for two new facilities and specialty service lines based around women’s imaging and sports medicine and rehabilitation. The objectives were to introduce the new facilities and generate awareness. The study surveyed 100 respondents, conducted an 8-person focus group and offered comparative analysis to cover the opinions and behaviors of 270,000 healthcare consumers. The quantitative portion of the study launched June 18, and an online focus group was conducted July 1, 2014. Four print Ads were tested for “Sports Medicine & Women’s Imaging”. The purpose of the pre-test was to determine the potential effectiveness of each campaign and gain a deeper understanding of their respective strengths and weaknesses prior to launch. In terms of advertising effectiveness, brand identification and market distinctiveness – “Red Crow hit it out of the park with these,” according to the non-biased third-party research facilitator, Kristin Drahota. The campaign significantly served to strengthen ALL perceptions of Liberty Hospital with exceptional likeability and believability. While the research highlighted positive awareness and interest factors for these ad groups, forthcoming studies will continue to play a key role in the strategy development for future campaigns. When it comes to fine-tuning Liberty Hospital’s market leading position, the study provided a success to ensure the hospital continues to gain a competitive advantage with area health care competition.